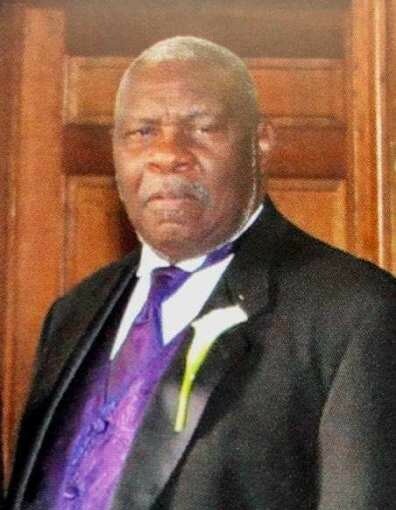 David Allen Price, Sr., 72, entered into eternal rest on Saturday, July 28, 2018 at the VCU Medical Center in Richmond Virginia. David was born on September 9, 1945 in Sussex County, Virginia to the late Willie and Mollie Ford Price. He was educated at the Southampton County Training School, he graduated from the National School of Business earning a degree in Accounting. He took courses at Bentley College of Accounting and attended Harvard University of Cambridge. He attended Paul D. Camp Community College where he graduated with a degree in Police Science and received an Associate degree in Applied Science. He also graduated from Christopher Newport University in Newport News, Virginia with a BS degree in Government Administration (Criminal Justice). David was a member of the United States Marine Corps (Vietnam in Tet of 1968). He was a Marine Sergeant and was a life member of the Marine Corps League Pedigree Devil Dog. He worked for Shawnut National Bank, Immont Corporation, Robinson Enterprises, Union Camp, Southampton County Sheriff’s Department where he retired as a Sergeant after 30 years of service. He owned and operated Price Tax Accounting with offices in Franklin and Ivor Virginia. He also had a partnership with Damo Inc.
Deacon Price was a member of various community and civic organizations, early in the 1990’s he became a member of the Bryant Baptist Church where he served faithfully on numerous boards and organizations and was the devoted chairman of the Deacon Board. David was a member of Masonic Lodge No. 185 in Courtland, Virginia where he was a Junior Deacon, Senior Warden, Secretary, and District Deputy Grand Master; Ivor Grove Masonic Lodge No. 182 holding the office of Secretary; Waverly Lodge No. 70, Fraternal Order of Police charter member of Robert A. Hill, Sr. Lodge No. 56 holding the position of State Director State Level and Virginia State Lodge Board of Directors;, Downtown Franklin Association where he served on the Board of Directors, as Treasurer and current President; Southampton County Electoral Board; Marine Corp League; National Association of Black Law Enforcement Executives (NOBLE); American Red Cross Board; Senior Services of South Eastern Virginia; National Associations of Tax Practitioners; Touched by Keon Foundation, Inc.
David leaves to cherish his memory his wife of 44 years, Della; two sons, Allen and Dean; brothers Willie Price of Richmond, VA, Perry Price (Debbie) of Carrollton, VA , and William Roger Price (Shelia) of Richmond, VA; sisters Mary P. Boykin of Richmond, VA and Weeatha P. Carey of Chesapeake, VA. Brother In-law Robert Crockett (Theresa), devoted nieces Velina B. Glenn (Larry), Adrienne Carey, Cassandra B. Meekins (Russell) and Phelicia Price. Devoted nephews Ali Crocker (Hattice), Iben Crocker(Janell) , Lamari Delbridge, Le’Roger, Andre’ and Le’Var Price. Devoted great nieces Courtney Glenn and April Meekins and a devoted great nephew Aaron Meekins. A loving aunt, Rev. Sarah H. Gholson; a devoted friend Ms. Phyllis Taft Price and a host of other relatives and friends who loved him and will miss him dearly. Don't spend too much time in mourning. Tears are for the sad. I left to be with Jesus, and this should make you glad. Don't waste your hours in grieving. No need to feel distress. I'm tired of life's frustrations, and had to get some rest. Don't vex yourself with questions, or try to reason why. Life here for me was ended; it came my time to die. Don't lose the love I gave you; feed it with your care. Grow it with devotion and spread it everywhere. Don't fret because my leaving came in such a way. We'll have another meeting. In God's Eternal Day!